The relationship between fashion and health is a complex one, with fashion sometimes being shaped by current beliefs about health and disease and, at other times, acting as the cause of illness. For many centuries, those in the Western world believed that human illness was primarily related to the disposition of "humors," vapors coming from deep inside the body and released at the skin surface (Renbourn and Rees 1972, p. 401). The ancient Greeks believed that a damp, cold environment prevented these humors from passing out through the skin, being turned back instead toward the internal organs. There, they caused inflammation and every imaginable disease. 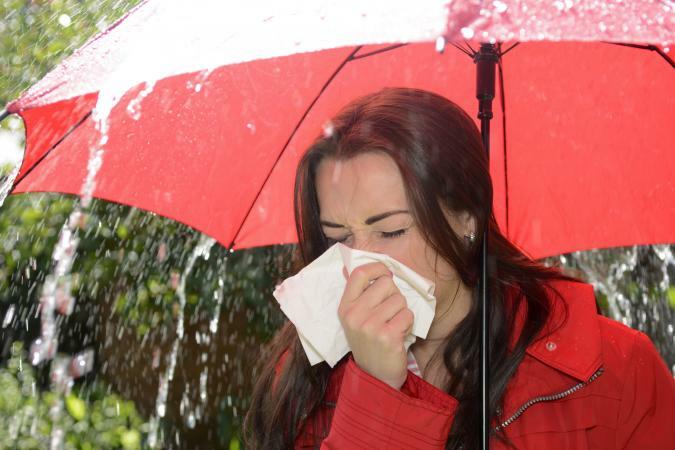 The belief that damp cold was almost solely responsible for most human illness persisted until the middle of the nineteenth century, when the science of bacteriology began to link disease to the spread of infectious organisms. The fear of damp cold led to multiple theories about dressing for health. There was, of course, the fear that the very clothing worn to protect the body from damp cold, could itself block the passage of humors outward. Arguments were made in favor of each of the natural fibers as being the most healthy to be worn, with wool being believed by many to be the most healthy because it was found to be the greatest absorber of water. The human body does actually release vapors from the skin surface in a continual drying out of the skin called insensible perspiration. Research in the mid-1800s established for the first time that wool had the ability to absorb insensible perspiration and later condense it under cooler conditions, sending the resulting heat from condensation back toward the body (Renbourn and Rees, p. 40). Cotton and linen appeared to have no such capacity to produce heat; they continued to cool until dry, leading to a dangerous chilling of the body. These findings caused many health practitioners to advocate wool in the years that followed. One, a German physiology professor named Jaeger, touted his allwoolen system of dress as the key to revolutionizing the health of all ages in all climates (Renbourn and Rees, p. 46). Many believed that wool also served as a "filter" to prevent impurities from reaching the body. Wool later was discovered to have another prized quality-it retained an electric charge. In the middle of the eighteenth century, many believed that a strong positive electrical charge led to male virility (Renbourn and Rees 1972, p. 33). During the nineteenth century, electric and magnetic garments were in vogue, and statically charged undergarments were credited with having powers from curing rheumatism to affecting the bowels (Renbourn and Rees, p. 39). Wool, however, had its detractors, particularly among those who worked and lived in the tropics. A number of physicians in the seventeenth and eighteenth centuries noted that because wool was not easy to clean, it housed and propagated fleas, lice, and other carriers of disease. Excessive swaddling of infants in wool in the tropics by British nurses working there was thought to be one cause of infant mortality. Many believed cotton to be healthier than wool in warm climates because it provided more continual cooling and was more easily cleanable and less irritating to the skin. From the seventeenth to nineteenth centuries, an almost irrational fear of exposure to drafts existed in many countries. Exposure to air currents was believed to be responsible for a wide range of conditions, including head colds, sore throats, and rheumatism. This concern contributed to excessive coverage of the body, even in warmer weather. During the French Revolution, when women ignored traditional admonitions for body coverage, the supposed link between diseases like consumption and revealing garments made of the sheer muslins of the time even led to new labels, such as "muslin disease" and "pneumonia blouses" (Renbourn and Rees, p. 34). Color was believed to have had magical properties that affected human health. Various colors have been thought to best intercept dangerous rays of the sun or attract or repel toxins. While there has been considerable debate about the importance of specific hues in protecting the body, many cultures that exist in desert climates have long accepted that most whites and lighter colors reflect more sunlight than most blacks and darker colors. The white robes of desert dwellers, for example, offer thermal protection by reflecting the radiant heat of the sun away from the body. One of the main reasons early fashion was detrimental to health was that dressing in many layers and bathing infrequently combined to make clothing a breeding ground for infectious organisms and vermin. Some fashions also seemed to attract infected refuse. A medical paper of 1900 reported on a bacteriological examination of the trailing voluminous skirts of the time in which the author "found large colonies of germs, including those of tuberculosis, typhoid, tetanus, influenza" (Rudofsky 1947, p. 181). Fashion has often involved modification of the body. The professed reasons for this range from ceremonial to practical, among them: influencing the morality of a wearer's behavior, communicating social status, increasing sexual allure, and establishing an aesthetic ideal. Harold Koda states that "Shoes have been the most persistent example of fashion's imposition of an idealized form on the natural anatomy" (2001, p. 140). He notes that the portion of the shoe that contained the toes has rarely, if ever, reflected the shape of the human foot but that the shape of a shoe, "consistently worn eventually molds the foot" (p. 140). There has been much controversy about the health effects of modified feet. 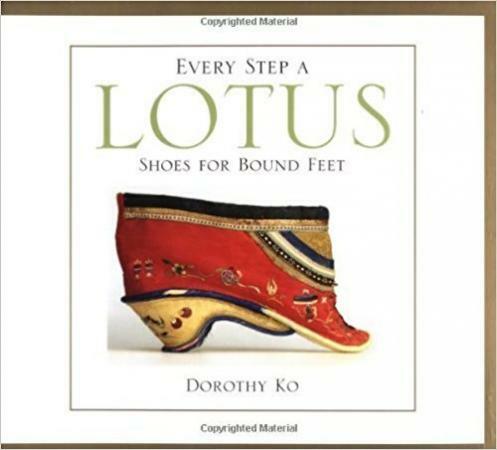 The most extreme example of foot modification is the Chinese bound, or lotus, foot. Dorothy Ko states that while Chinese footbinding shifted the placement of the bones of the foot, it broke no bones. It simply shortened the length of the foot and changed the locus of its support of body weight (p. 60). Many lotus shoes were designed to allow the axis of support of body weight to pass through the heel alone, alleviating any painful pressure on the folded toes (p. 152). Koda states that the spiked heel that was first made popular in the 1950s has acted to place the foot of its wearer in almost the same vertical position as the lotus foot. (2001, p. 159). In addition to precipitating ankle injury, the "tiptoe" stance of the foot in high heels "has been known to shorten the leg muscles, and in creating a destabilized stance, it can precipitate problems at the small of the back" (p. 163). In the nineteenth century, physicians argued that the "wasp waist" of the corseted woman was detrimental to health, producing various conditions such as fainting, cracked ribs, miscarriage, difficulties in breathing, and abnormally functioning internal organs (Renbourn and Rees 1972, p. 11). More recent research on the effects of the corset have found few, if any, permanent health effects for adult women once a corset is removed (Steele 2001). However, Steele acknowledges that because corsets interfered with respiration, they did create "a disincentive" for Victorian women to exercise (p. 71). Indeed, one of fashion's primary negative effects on health in the past may have been limiting the types of activities in which individuals have felt able to participate. The belief that cold, damp weather and exposure to drafts are responsible for the common cold and flu has persisted to modern times, despite the assertions of clothing physiologists that "cold stress" is only one of dozens of stresses of modern life that lead to these illnesses. During the second half of the twentieth century, dressing to protect the body from thermal conditions in the environment generally involved one of two approaches: using clothing to insulate the body against sudden heat loss or using it to shield the body from excessive heat gain. While much has been made of the healthful effects of specific fibers, it is well accepted that the fiber used in garments is only one factor in the ability of clothing to provide thermal balance. Watkins cites multiple factors: the fiber, yarn type, fabric construction, fabric finish, garment design, and the way of wearing a garment (1995, p. 26). Even when the same garments are worn in a different layering order, or freed or tucked in differently, the thermal balance of the wearer can be greatly affected. New processing methods for fibers and fabrics have markedly improved insulation materials, and a variety of methods of protecting insulations from wind and water have emerged. The development of a material with micropores, Gore-Tex, in the mid-twentieth century brought the advent of waterproof materials that "breathe." These fabrics exclude liquid water, but allow vapor such as insensible perspiration to migrate out of an ensemble. Supple aluminized coatings on materials enable the reflection of radiant heat from the sun, fires, or high-heat industrial settings. Despite technological advances that have created the potential for healthy clothing, some cultural norms may still dictate the use of garments that negatively affect health. Muslim women continue to wear the chador, the heavy, full-length veil that has been said to have caused fainting and serious long-term health problems such as osteoporosis. Western men continue to wear improperly sized business shirts with collars that cut off proper blood flow, leading to a variety of conditions from fainting to decreased visual acuity (Langan and Watkins 1987). Other cultural norms focus on what is believed to be healthier approaches to dressing. Some Western professionals wearing high fashion walk to the office in running shoes, donning fashionable footwear only for meetings. Elderly women in nursing home wheelchairs are increasingly seen, not in the socially acceptable dresses from their pasts, but in nonbinding jogging suits. The growing interest in alternative medicine has also revived a number of clothing practices that have met with great skepticism in the past. Experiments with the effect of color on the immune system continue. Proponents believe that magnetic clothing items may relieve pain and cure a number of different conditions. Citing new evidence relating copper to the body's enzyme production, proponents have revived interest in copper jewelry as a cure for arthritis. Clothing has been designed to shield the body from all sorts of hazards of modern life. During the Gulf War in 1991, it was not unusual to see Israeli civilians of all ages carrying gas masks as constant accessories. Filtration masks to prevent the spread of respiratory diseases or protect asthmatics from pollution have become familiar sights. The U.S. Occupational Safety and Health and Administration (OSHA) has established educational programs to teach laborers who work with toxic chemicals the dangers of exposing the skin and respiratory system to those hazards and help them select appropriate protective suits and respirators. Space suits have been miniaturized to allow immune-deficient patients to venture into the world. Sheer, supple stainless-steel undergarments have been marketed particularly to pregnant women who work at computers, to protect them from electromagnetic radiation. There are few occupational hazards for which health-protective apparel has not been developed. Many of these have been reshaped into fashionable forms; others themselves establish a new fashion aesthetic. All of these approaches to protection are essentially passive design concepts, working to shield the body somehow from the environment. 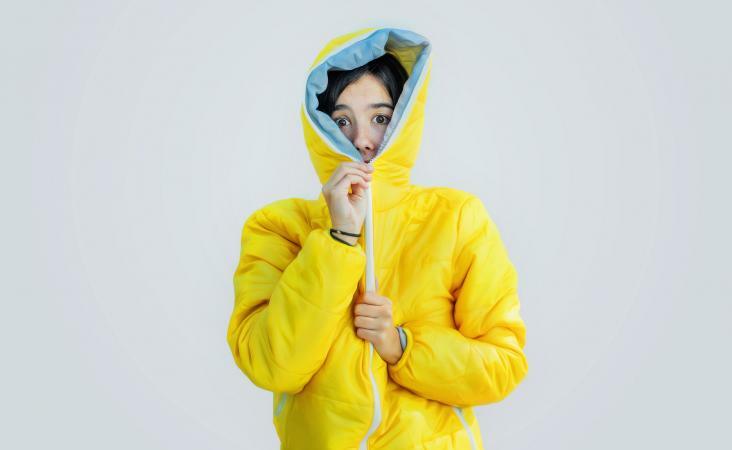 Advances in technology are making it increasingly possible to use active approaches to protection, where clothing contributes to thermal balance or other forms of protection. For example, electrically heated and water-cooled systems have existed for decades, but the increasing miniaturization of power sources will make these more available and easily incorporated into everyday clothing. Clothing fibers have been impregnated with chemicals that absorb body heat when the wearer is warm and release it when the body begins to cool. These advances allow clothing to serve not just as a barrier, but as an active provider of thermal balance without an external power source. Some proposed clothing designs incorporate mechanisms that will massage and stimulate blood flow to an ailing body part or trigger an automatically inflated airbag should the wearer start to fall. Others, for example a wristband worn to prevent seasickness, simply help the body heal itself, operating on centuries-old knowledge based on alternative treatments such as acupuncture. Garments have been impregnated with bacteria-deterring agents to actively fight organisms that attempt to make their way toward a wearer. Undergarments have been developed that monitor multiple aspects of body function and send signals that stimulate medical devices or trigger the release of medications into the body. Many of these have been connected to computerized body-monitoring systems allowing clothing to respond automatically to each individual's needs. These garments allow patients formerly tied to hospital beds to move into the world. Many are wireless, so that doctors can monitor a patient's health at a distance and make adjustments in treatment accordingly. As the body's most intimate environment, clothing has enormous potential to help individuals meet the health challenges of the future. See also Color in Dress; Corset; Footbinding; High Heels. Ko, Dorothy. Every Step a Lotus. Berkeley: University of California Press, 2001. Koda, Harold. Extreme Beauty. New York: Metropolitan Museum of Art, 2001. Langan, Leonora, and Susan Watkins. "Pressure of Menswear on the Neck in Relation to Visual Performance." In Human Factors 29 no. 1 (1987): 67-72. Renbourn, E. T., and W. H. Rees. Materials and Clothing in Health and Disease. London: H. K. Lewis and Company, 1972. Rudofsky, Bernard W. H. Are Clothes Modern? Chicago: Paul Theobold, 1947. Steele, Valerie. The Corset. New Haven, Conn.: Yale University Press, 2001.